Permanence is beautiful. I would argue that one reason we gravitate toward immortal divine beings is that there’s comfort and solace in knowing that they will always be there. 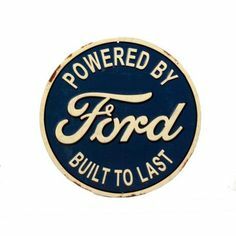 From a marketing perspective there’s great appeal too and Ford built a brand around being built to last. Or look at some of the great structures that attract admiration - the Pyramids of Giza, the Great Wall, great cathedrals and temples. They’re discussed because after thousands of years, they’re still standing. Their presence is reassuring. Building those structures however, did not take weeks or even months but years - and often times many years and thousands of people were required to build them. These were not just projects of a lifetime, but of whole dynasties. World altering projects today look dramatically different. The pace of change is increasing and it seems as if many of the things we’re building are decidedly not built to last. Planned obsolescence could be a feature and a bug. Cynically, the planned obsolescence could be a marketing ploy to sell more widgets. More optimistically, however, it may be that we know that in a few years, we’ll be able to build something so much better and so much cheaper, that it will make sense to build a new one than try to repair or upgrade an existing model. The shift toward software and Marc Andreeson’s famous declaration that ”software is eating the world” is accelerating our iteration cycles and with it diminishing our sense of permanence in large parts of our experience. This transition to constant iteration seems to be rubbing up against a natural inclination in people to want to hold onto things - right or wrong. As I’ve practiced meditation on and off for the past few years, one of the lessons I’ve found most helpful has been to consistently remind myself time passes even when I’m an acting observer, so I can take a moment to breathe and the world will not stop. That is, our world is a tapestry of individual moments, none of which last longer than a second. Any sensation of permanence is built upon moments that are themselves impermanent. Since it does not appear to be intuitive for humans, to understand impermanence, we have developed various practices to try. One of the most elegant practices I’ve come across is the Tibetan Buddhist tradition of sand mandalas. These beautiful pieces of art are created with extraordinary care and precision. You will not find them in museums, however, because when the monks finish they will consecrate the work by walking the mandala down to a body of flowing water and submerge it to be washed away and shared with the world. Earlier this week I had been frustrated by a (in retrospect) trivial matter when I had a friend remind me of these monks and their sand mandalas. It reminded me of how growing up my Jewish education had emphasized perseverance. We heard many stories of Jewish survival and the phrase that “this too shall pass.” Jewish people have a long history of persecution but have managed to survive as a community through it all. What’s often overlooked and what the sand mandalas remind us, however, is that the recognition that this too shall pass is not reserved only for the horrible and bad things - but the beautiful and good as well. Recognizing that the world is impermanent is not acquiescing, but an acceptance of what is possible. It does not muddy the waters, but provides focus and clarity for what is truly important.